What do International Baccalaureates and blue ribbons have to do with home values? There has long been a notion in Atlanta that the value of a home is tied to the school district it is in. 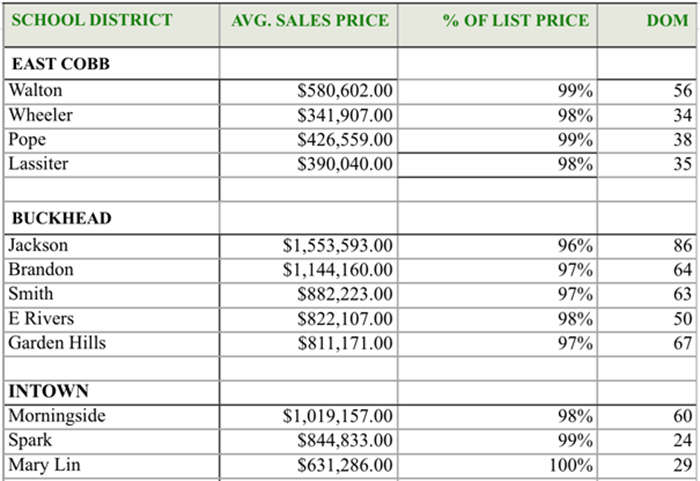 That is no secret, but for the first time, Dorsey Alston Realtors, Atlanta’s oldest and largest independent residential real estate company, has compiled the average home price for the respective school districts in Buckhead, East Cobb and Intown Atlanta. The Warren T. Jackson Elementary School district in Buckhead had the highest average price with $1,553,593, but also saw the largest drop in price relative to asking price and had the most days on market, which averaged 86. 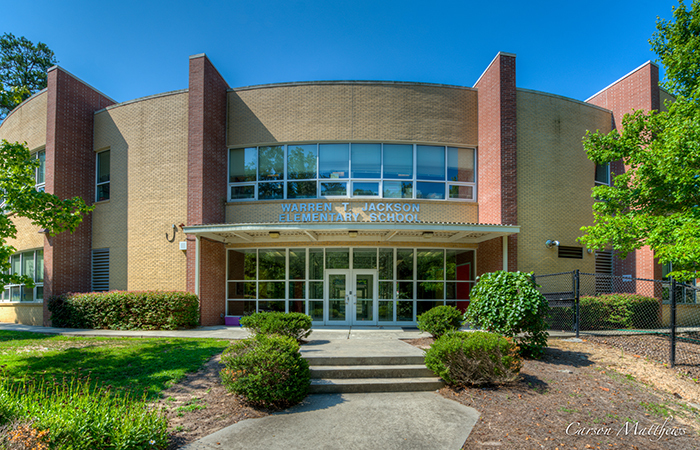 Jackson has earned three coveted distinctions as a National Blue Ribbon School, a Georgia School of Excellence, and an International Baccalaureate (IB) World School. Morris Brandon, rated one of Georgia’s top schools, year after year, was next, with an average sale price of $1,144,160, and average days on market of 64. Morningside Elementary School came in with an average sale price of $1,019,157 with an average of 60 days on market to round out the top three in terms of price. Morningside Elementary School was named National Blue Ribbon School in the Exemplary High Performing Category in 2016. The Walton High School district, which had 39 National Merit Semi-Finalists, the most in the state, as well as a nationally certified pre-engineering program, led East Cobb with an average sale price of $580,602, which was within 98 percent of the asking price and averaged 58 days on the market. The Pope High School district averaged $426,559 with just 38 days on market. In 1989, just its second year in operation, Pope received the prestigious Georgia Blue Ribbon of Excellence.